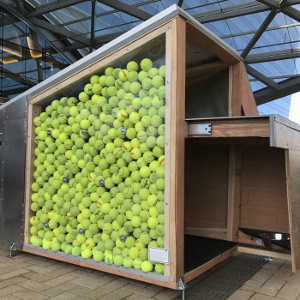 Click or tap an image to see more detail! 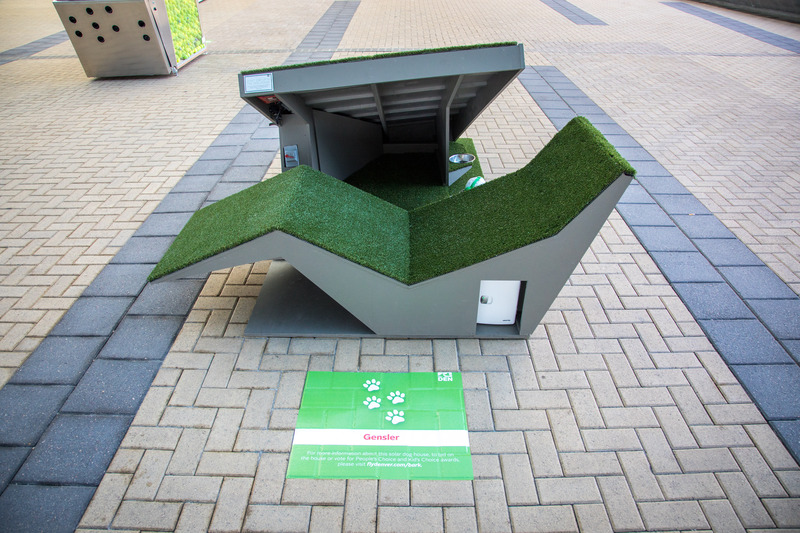 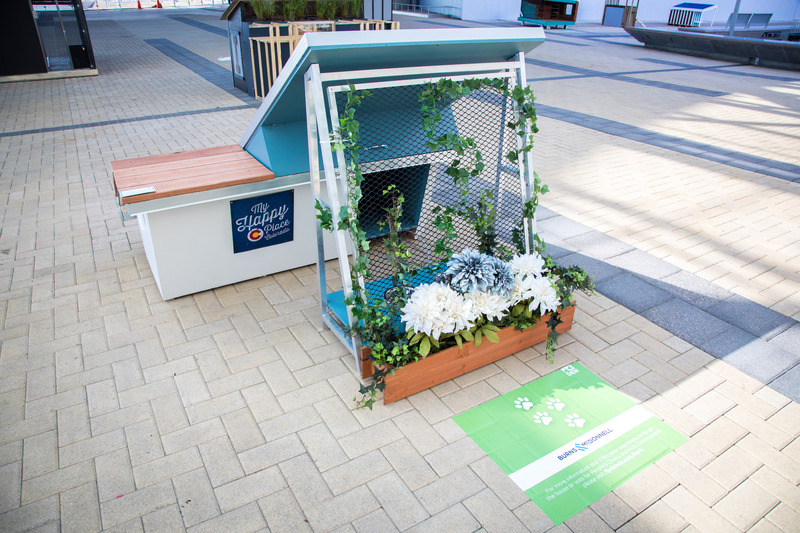 Creativity was unleashed and everyone helped pick the top dog in innovative dog house design! 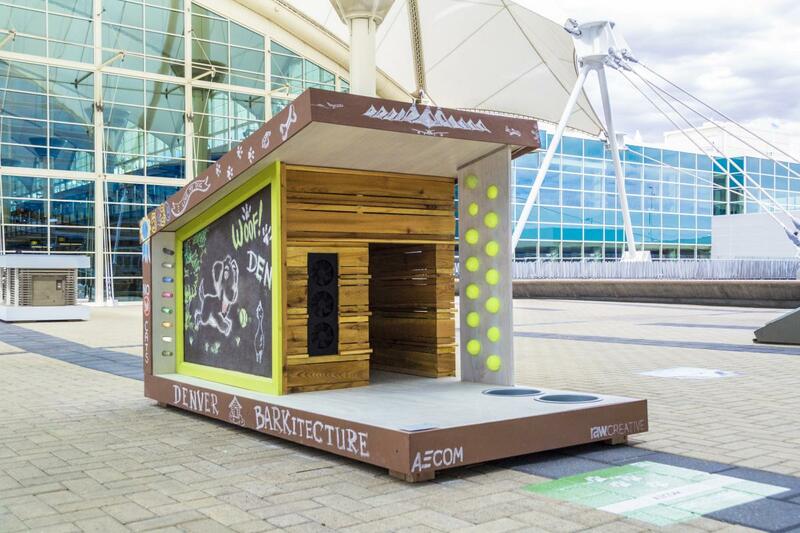 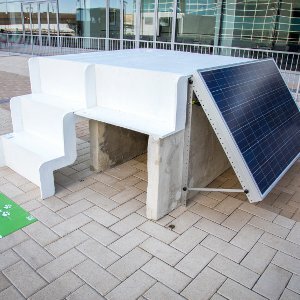 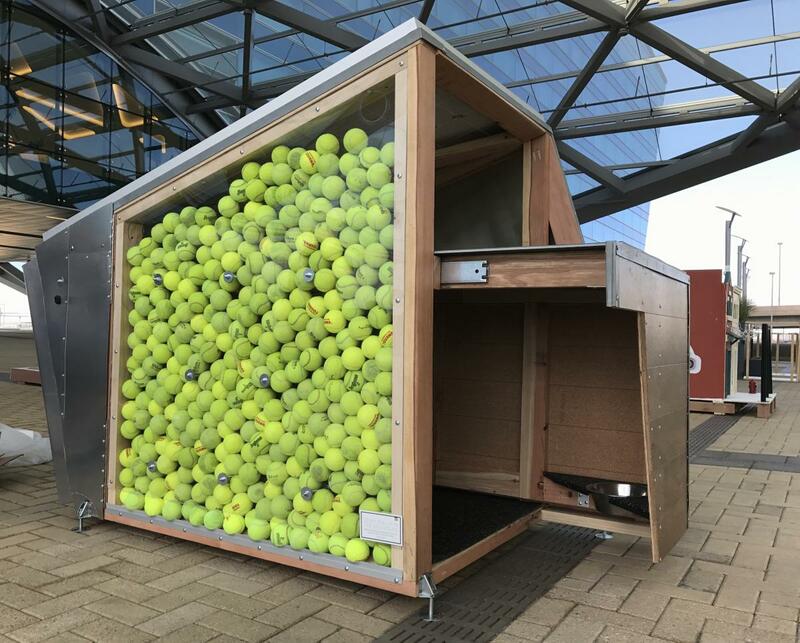 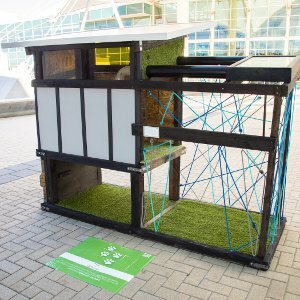 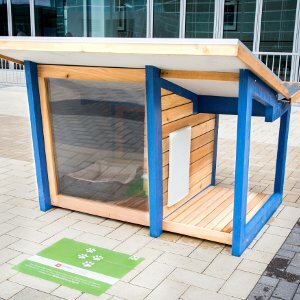 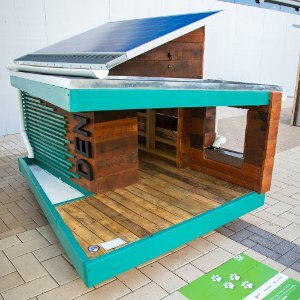 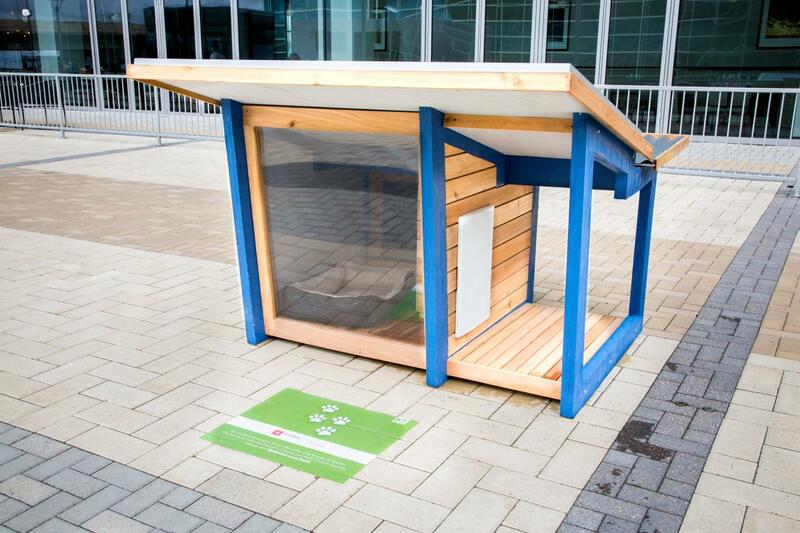 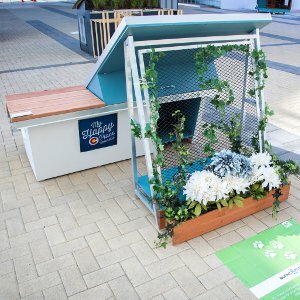 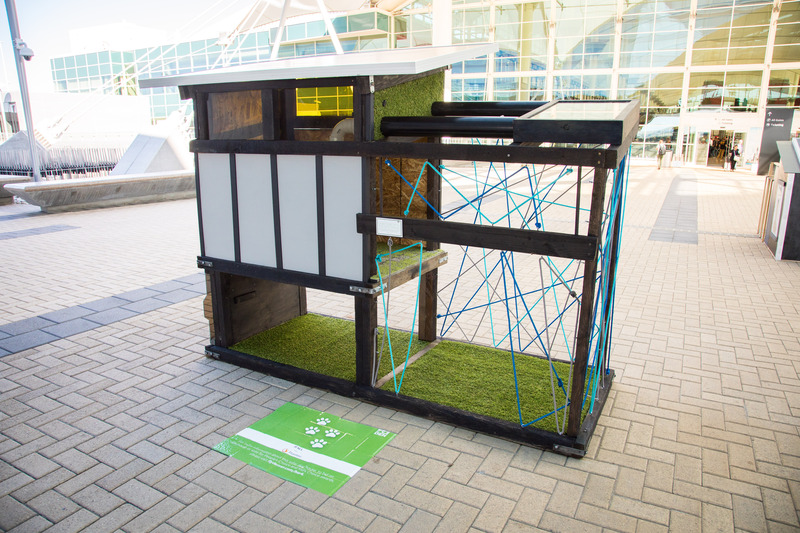 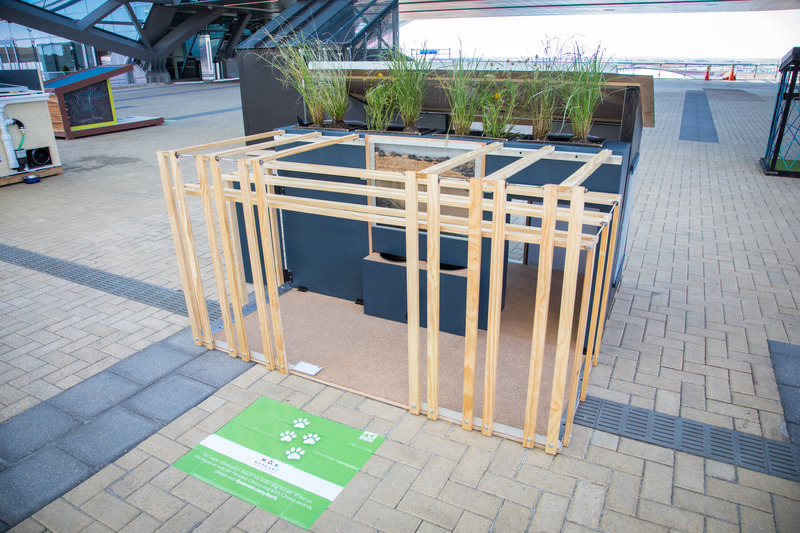 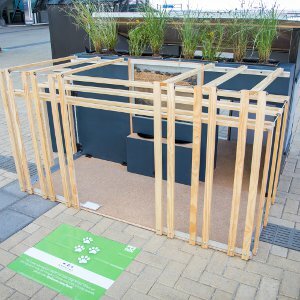 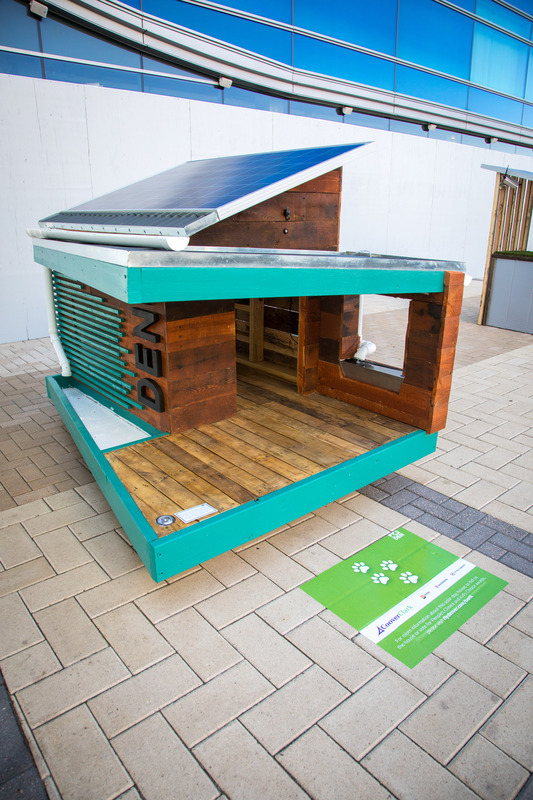 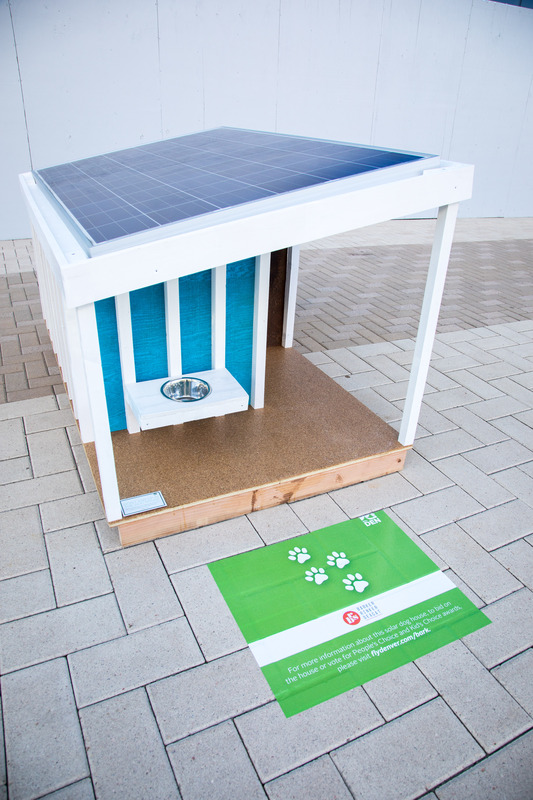 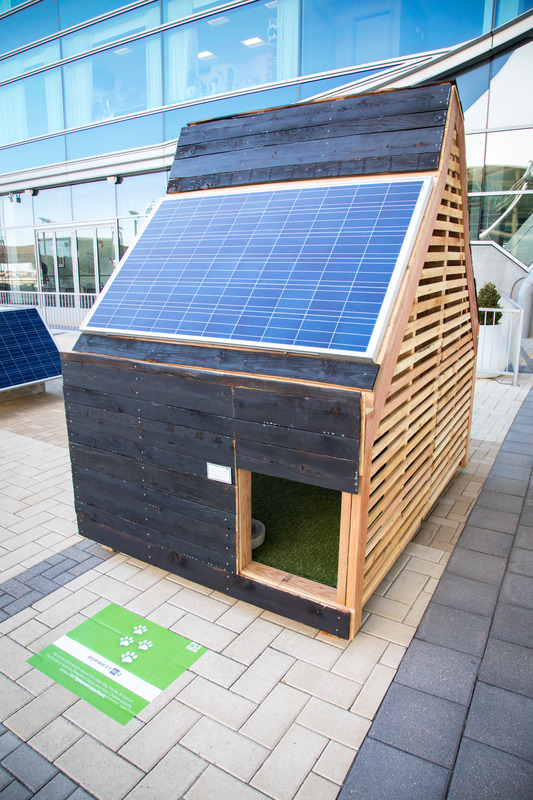 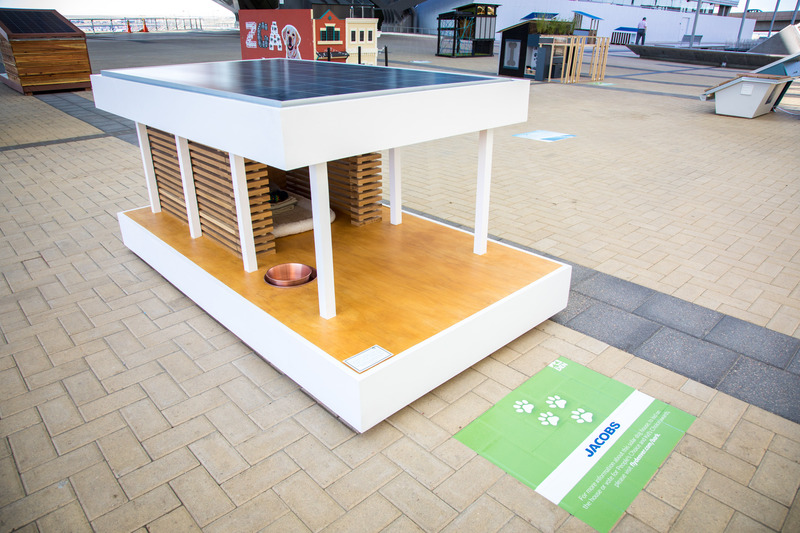 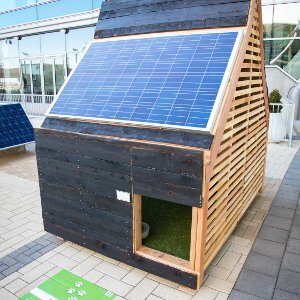 Denver International Airport (DEN), in conjunction with the U.S. Department of Energy Solar Decathlon, hosted the Sustainable BARKitecture Dog House Competition, which challenged local architecture firms to compete in designing the solar home of every dog’s dreams. 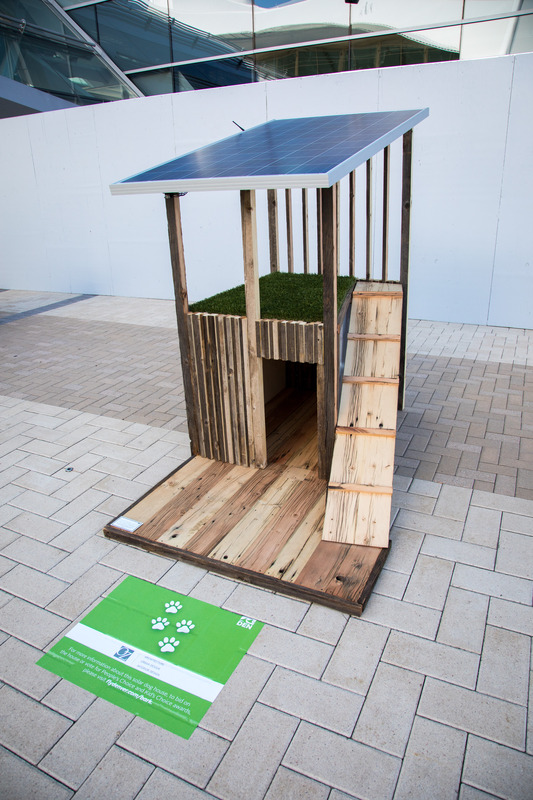 Winners of Sustainable BARKitecture were announced at the Judging and Awards Ceremony Monday, Oct. 9, on the Plaza. 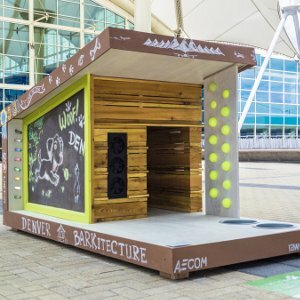 Participating architecture firms designed their entries for one of DEN’s own Canine Airport Therapy Squad (CATS) dogs, catering to the dog’s size, unique personality, and preferences. 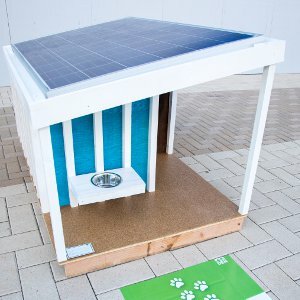 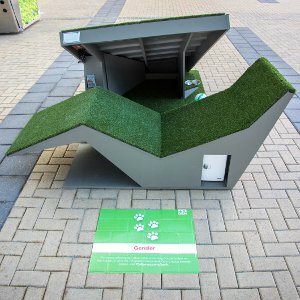 The dog houses also integrated sustainable features like rainwater collection, solar-powered lights or fans, reclaimed materials, or passive cooling. 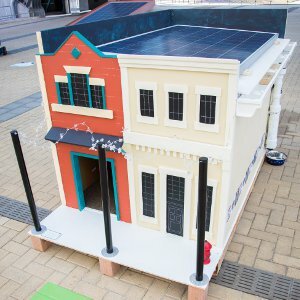 online auction of each house. 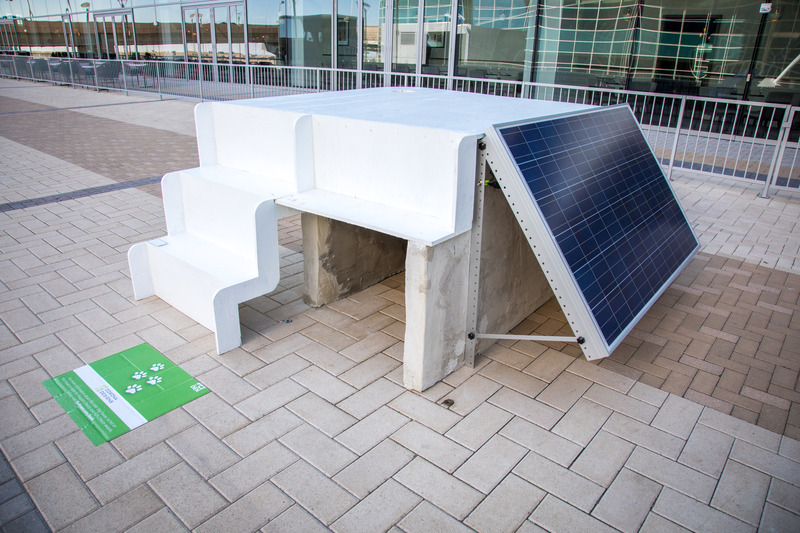 As an environmental leader and one of the highest solar-generating airports in the U.S., DEN is excited to help Colorado reduce its carbon paw print through this fun, worthwhile competition. 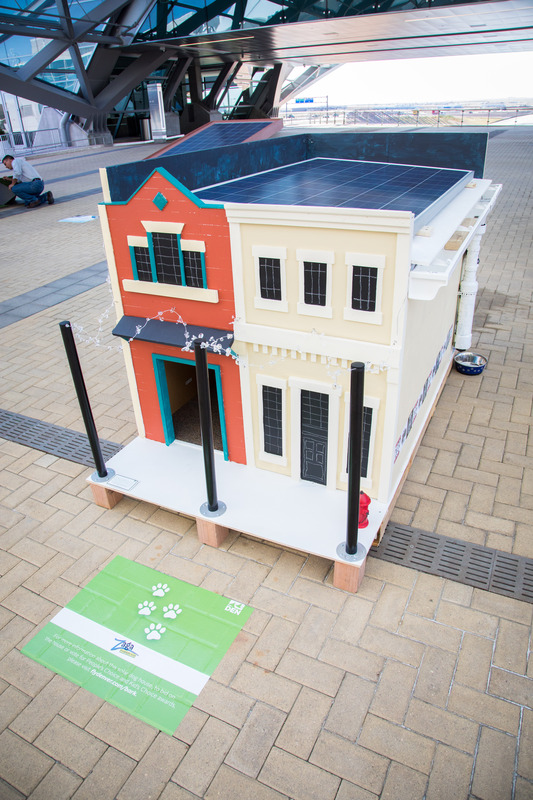 Special thanks to Panasonic for donating the solar panels for this unique competition! 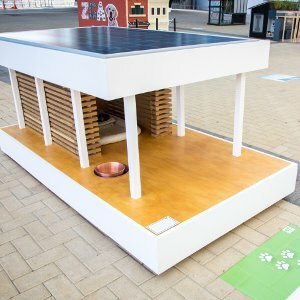 If you loved the BARKitecture event, you won't want to miss the U.S. Department of Energy's Solar Decathlon Oct. 5 through 15, 2017, at the 61st and Peña Station. 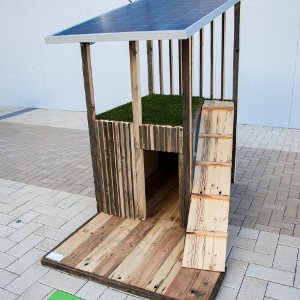 This national competition will bring university teams from around the country for an amazing solar house competition for our two-legged friends.